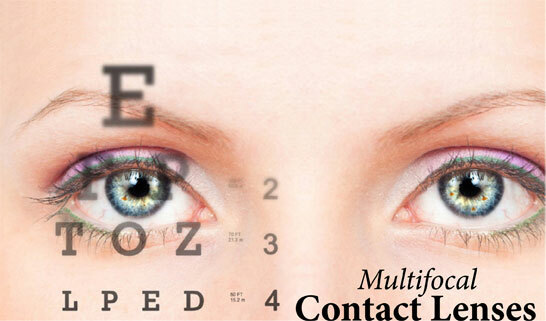 The fitting of multifocal contact lenses (MFCLs) is becoming easier and less time-consuming than in years past. Beyond the customary presbyopia they were intended to correct, MFCLs are being considered for other uses such as slowing myopia progression in children and managing deficits in accommodation and some binocular disorders, especially for those averse to wearing glasses. To successfully fit these patients, it is important to understand the intricacies of the different multifocal lens designs, so that the most favourable profile can be chosen. Currently, two basic designs are in use: the alternating image RGP-only design with distinct distance and near vision zones, and the simultaneous image design in which the distance, near and often intermediate images are simultaneously presented and the brain chooses the better resolution image. Simultaneous image designs use concentric, aspheric or a combination of both optics. Aspheric is the most common and incorporates a centre-near or a centre-distance design. Another centre-distance design, the Acuvue® Oasys® for Presbyopia from Vistakon, could be considered an option; however the net plus-power in its alternating distance and near zones in the periphery may not be enough to move the image back onto the retina to arrest ocular growth. The same is true of most of the centre-near aspheric soft MFCLs currently on the market, all of which are more suitable for correcting regular presbyopia. Another possible use of MFCLs is for patients with accommodation anomalies, such as accommodative insufficiency or ill-sustained accommodation. When used as an adjunct to primary vision therapy, they are very effective and can provide the initial short-term solution or even the kick-start necessary for vision training. The goal is the same as it is for a presbyope whose loss of accommodation naturally decreases with age: to prescribe the lowest add correction that will bring the near point of focus clearly and comfortably within the patient’s normal working distance by harmonizing the abnormal clinical findings of low amplitude of accommodation for age, high lag of accommodation, low positive relative accommodation (PRA) and inertia of accommodation. In theory, both the alternating image and simultaneous image designs can be employed to manage these dysfunctions. In the end, however, the compensatory modality chosen, either multifocal spectacles or MFCLs, should be eliminated over time through active vision therapy. The use of simultaneous image aspheric designs in managing this group in clinical trials is limited and has mixed results. One researcher reported the added plus near periphery was dynamically useful in all fields of gaze for his 15 children[iv] while another study failed to show adequate binocular alignment. [v] Notwithstanding research results that may still be forthcoming, all patients with accommodative esotropia should still undergo optometric vision training to eliminate any amblyopia/suppression and to build on improving the fusional divergence reserves at all viewing distances. In summary, MFCLs are only effective if applied to the correct patients. Understanding the optical properties of MFCL profiles will provide the practitioner with the outside-the-box thinking and additional arsenal needed for that prospective uncommon clinical solution.